When searching for a good flash drive, most people look for big or popular companies. Brands such as Patriot are not preferred by many people. But if you are looking for quality, performance, and value for your money, you need to pick up the Patriot 128GB Supersonic Rage Series USB 3.
Who will benefit from the Patriot 128GB Supersonic memory stick? Users recommend Patriot 128GB Supersonic Rage 2 flash drive because of its value, performance, and quality. Even though there are some people who believe the performance is not as good as advertised, it is great value for money. If you are searching for a small drive with a transfer speed of 400MB/s read and 200MB/s write, Patriot 128GB Supersonic Rage 2 is a good choice. The drive is also appropriate for outdoor projects as it is rubber coated. This means it is well protected for daily abuse. Patriot 128GB Supersonic Rage 2 is also compatible with the latest Window versions and Mac PCs as well. When you search for his device, you get a small USB flash drive that is very budget friendly. It is small to fit anywhere in your pocket, a purse or wallet. The design is unique and attractive, with a sliding mechanism to protect your data even when not in use. The body has a rubber coating that helps to extend the life of the gadget. If you are looking for something durable, Patriot 128GB Supersonic Rage 2 is among the best. However, it does not contain accessories, cables or straps as some people would expect. When transferring large copies of data, Patriot 128GB Supersonic Rage 2 can become very hot. But the drive handles the heat much better than many other similar flash drives. What are the main features of the Patriot 128GB flash drive? Patriot 128GB Supersonic Rage 2 may look just like the regular drives but it is unique. Design wise, it is among the smallest USB flash drives on the market. The quality is good but you cannot expect much since the device is cheaper than many similar gadgets. However, the rubber coating gives it an upper hand. It also has a sliding design/capless design to ensure safety when the gadget is not in use. Most users believe Patriot has focused on durability and performance on Patriot 128GB Supersonic Rage 2. Happily, the performance does not disappoint. With 400MB/s read speed and 200MB/s write speed, this means it is outstanding on speed than many popular brands. Patriot 128GB Supersonic Rage 2 is a plug and play flash drive. You do not need programs or passwords to start using this gadget. You can use it to store personal files, photos, documents, and videos. However, the gadget is not great for things such as operating systems. Patriot 128GB Supersonic Rage 2 get many positive reviews because of it performance, affordability, and portability. Even though it records an average 4K read performance, it is fast based on the value for money. 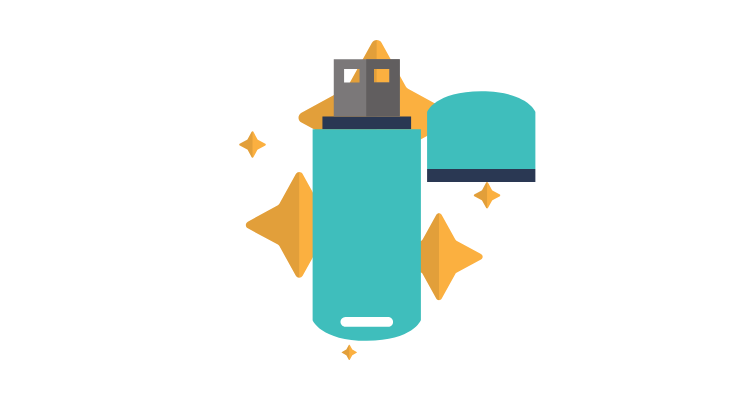 Alternative products you can try are the Patriot 64GB Supersonic Boost Series USB 3.0 Flash Drive With Up to 150MB/sec – PEF64GSBUSB. Or try the USB Flash Drive 128G, USB Memory Stick 128GB JumpDrive Thumb Drive 3.0 Flash Drive for Lightning/iPhone/iPad/PC/Android Password/Touch ID Protected Flash Drive for iOS/iPhone (128G Gold).